So, today would have been my grandfather's 87th birthday. He passed 15 years ago, and it still seems like yesterday. Thank you, so much, for all of the healing and inspiring books that you post. 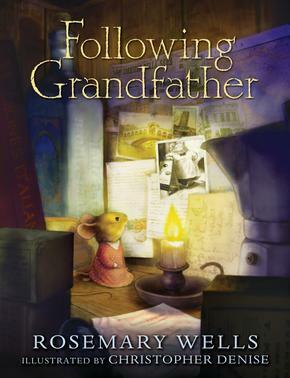 Thank you so much for this book review, which was so perfect for right now - (1) I'm really missing my grandmother and have been doing things that remind me of her in order to help me feel better, and (2) the mouse infestation in my office just will not stop and maybe this will help me feel a little more kindly towards mice! And I'm always on the lookout for books about grief. So many children lose grandparents and it is always such a sad time. My grandfather was also a very influential person in my life so I can certainly relate. What a treasure this book will be!